How do the GTX 970 / 980 and the GTX 1060 perform around the soaking wet Belgian GP in Codemasters latest Formula 1 game? F1 2018 features updated visuals and a huge amount of polish went into fine-tuning every single element of the game - my favourite has to be the updated vehicle dynamics system, watching the cars attacking the kerbs is a real treat! 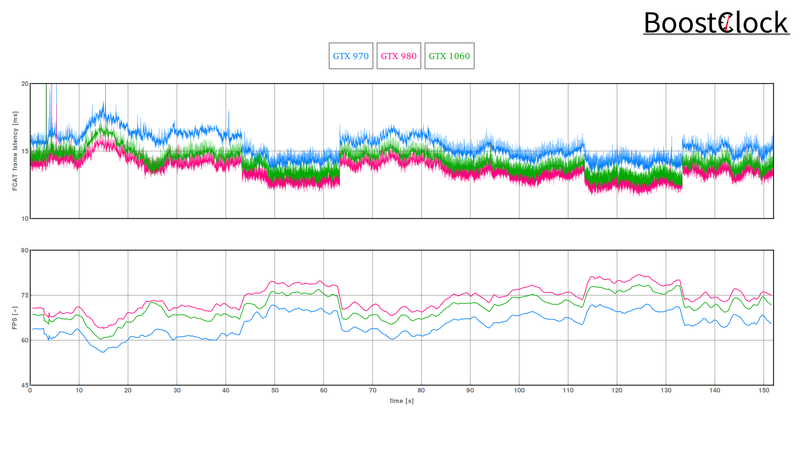 The built-in benchmark tool was used to measure the performance of the cards with ultra quality preset and TAA at 1920 x 1080 resolution. 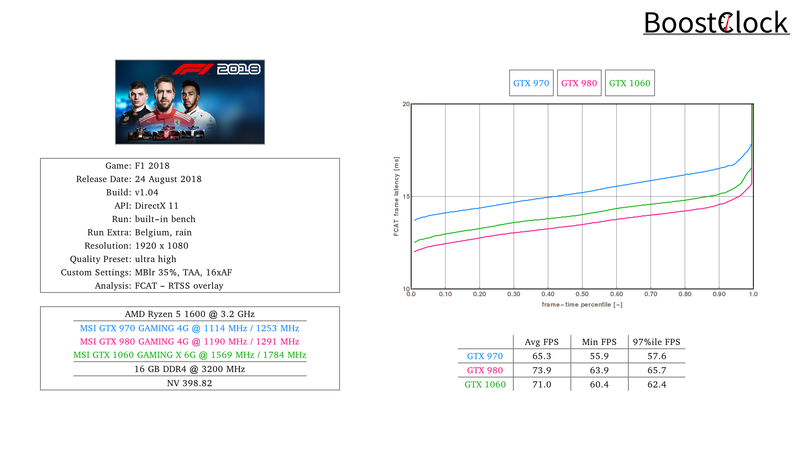 Frame pacing is excellent with all 3 cards and the performance you can target is around 60 FPS with these mid-range GPUs at the highest quality preset. 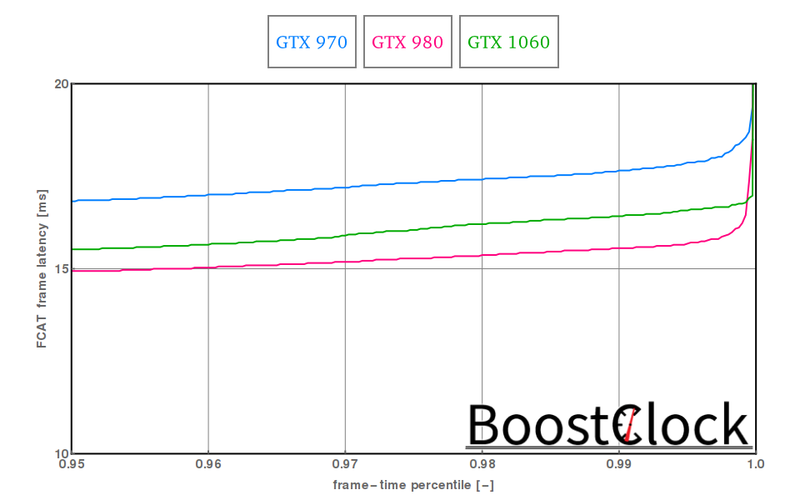 As always, one can dial back the graphics from ultra high to high to aim for lower frame times with minimal visual hit.